To reveal the new face of Vogue Eyewear using Facebook, twitter and their microsite and gain fan engagement. 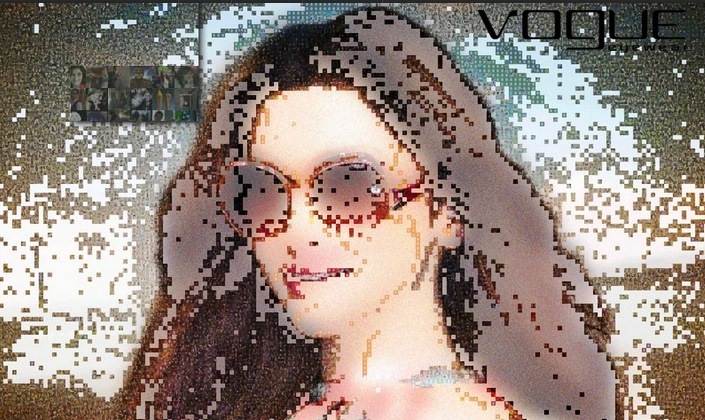 For Vogue Eyewear’s ‘Guess Who?’ campaign, Brandmovers developed the world’s largest fan generated mosaic with 20,000 tiles, which once filled, revealed the new face of Vogue Eyewear in India. Users were provided with hints and they could participate by signing in through their Facebook or Twitter profiles and simply guessing who she is. As more and more people participated during the month long campaign, tiles populated to unveil sections of the hidden image. Apart from guessing who the new brand ambassador is, there were a couple of other ways users could interact with the mosaic – they could find themselves in the mosaic using the ‘Find Me’ button or they could hunt for one of the 100 instant win tiles that were strategically hidden in the mosaic. If a user stumbled upon an instant win tile, they would have won themselves a trendy pair of Vogue Eyewear. Additionally, in order to boost the campaign, four Twitter activities were conducted during this time frame and prizes included several pairs from the latest collection of Vogue Eyewear and five iPhone 5s. The campaign was a huge success with the fans. In spite of the fact that two Twitter activities coincided with Women’s Day and Holi, all the hashtags trended in India with two of them having trended over a period of two consecutive days.